This honey glazed salmon recipe is healthy and makes for a great main dish. This honey glazed salmon recipe is healthy and makes for a great main dish. Preheat the oven to 400*F. Line 9-by-13-by-2-inch baking pan with aluminum foil. 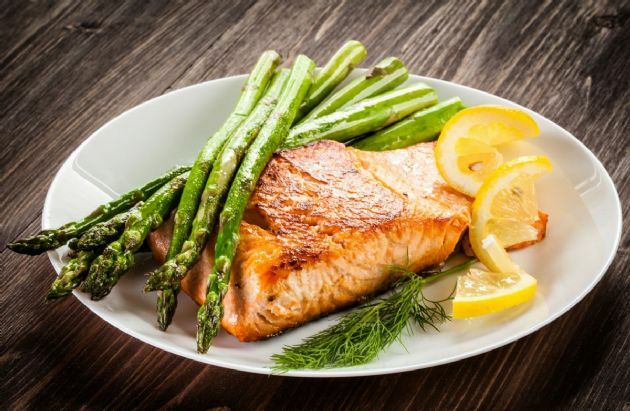 Put the salmon fillets in the center of the pan and arrange the asparagus around the salmon. Sprinkle with the walnuts and drizzle with the honey-mustard sauce.